For here we celebrate the great thinking mans British pin-up. Not the lovely Linda Lusardi or the pint sized crèche-feeder Samantha Fox but Great British cars that were once worthy of space on the bedroom wall. Don’t forget playmates…. you can suggest your own too! If like me you were an avid brochure collector, the Holy Grail of all things free from the showroom was a poster from the wall or a faded glory from the front sliding doors. 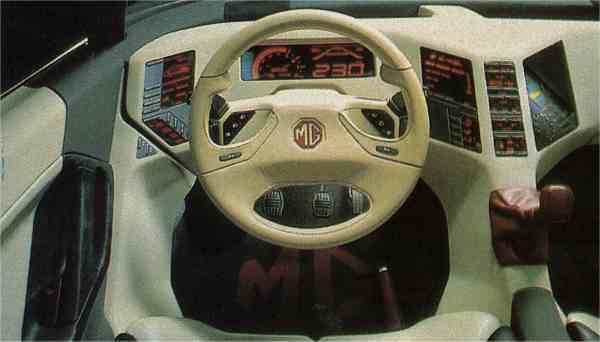 One of my all time favourites that adorned my wood-chip walled bedroom of my parents house was a poster of the MG EX-E. 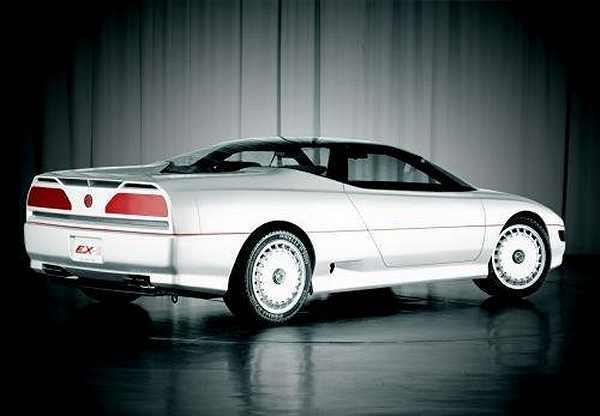 Launched to a slightly stunned audience at the Frankfurt Motor Show of 1985, the EX-E was a concept vehicle to show that Austin Rover had a forward vision than many critics never gave them credit for. A mid engine supercar with a driveline that almost echoed the Mighty Metro 6R4 rally car, the EX-E sadly never made it into production and proved to be nothing more than a very pretty showcase. Styled by Gerry McGovern under the watchful eye of Roy Axe, the EX-E wooed the crowds and still looks uber-cool. Jaguar XJ220 anyone? It was styled by Gerry McGovern and Roy Axe, the former went to pen other top selling Rover Group vehicles such as the Land Rover Freelander and they used Axe’s own Ferrari 308 for their mid-engine inspiration. Sales and marketing loathed the idea and it was some feat to even get the design off the drawing board but Austin Rover top management including big boss Harold Musgrove were keen to portray a forward thinking, technology led state owned company. The interior was smorgasbord of technology and wonder. If you look closely, you can spot the inspiration for the original Rover 800 column stalks. It was to be ten years before a new two-seater MG mid engine sports car was launched (MGF) and in adult hindsight, I am glad it was never put into full scale production. Austin Rover could barely get a simple 1.0 Metro City to run properly straight from the box at this point and were fighting to survive in sales numbers. So a showcase and an inspiration for future Rovers it was simply to be. But BOY what thing of beauty and is now on public display at the Motor Heritage Centre and museum in Gaydon… a cracking day out if you never been! I’ll just leave this here – Nowt more needs to be said. 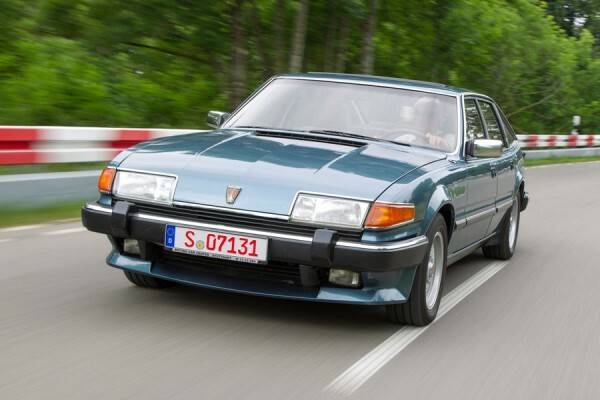 Mmm… the SD1 Vitesse. 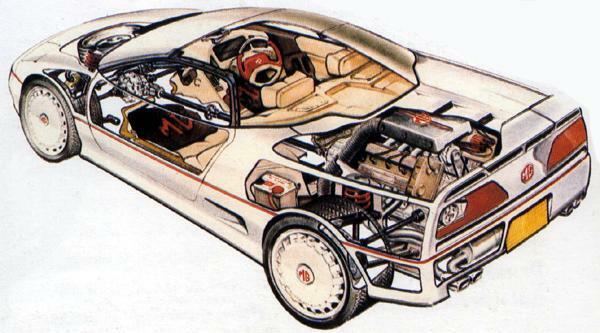 A car with a soundtrack that beats many an `80s sci-fi movie and head turning looks – even today. What is amazing is the reputation of legend the Rover still holds, but not entirely surprising as we are a nation who love the underdog. Body panels that dissolved quicker than Arnold Schwarzenegger at the end of Terminator 2 and shonky electrics worse than a downtown Vietnam hotel – if any other European manufacturer had built this (especially ze Germans) they would have been laughed out of town. But Austin Rover were skilled at the silk purse type of marketing and despite other models in their range at the time becoming just as laughable as their cars were 10 years earlier namely the Maestro & Montego the SD1 Vitesse looked simply mouth-watering and provided a well needed “halo” effect for a trouble company with a troubled range. I still daydream of the Bastos Rovers racing on my parents 24″ ITT Trinitron for all they were worth and yearn for a British executive flyer with a creamy V8 plant at the front. But sadly those days are long gone though certain parallels were made when MG Rover opted to plop a Ford V8 into the engine room to create the Rover 75 V8 & MG ZT-260. Today, 190bhp is easily wrung from a breathed on 1.6 but then that sublime sounding fuel injected V8 gave all the power and glory you needed. With the exception of the often misunderstood 75, the Rover 3500 Vitesse still holds court in the barroom argument of Rovers finest big car & retired traffic cops still compare the Vitesse to the Senator and vice versa for the ultimate fast fuzz flyer! 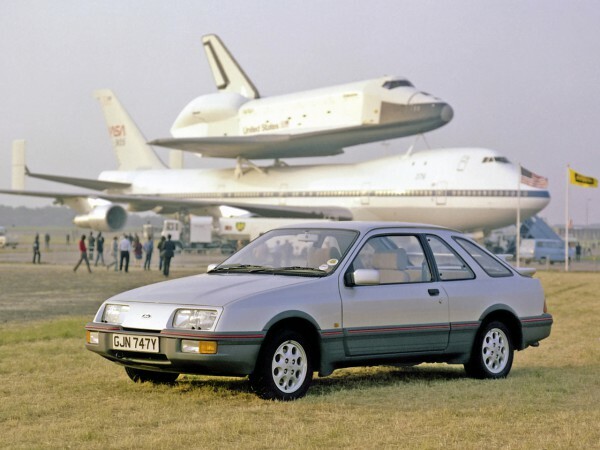 Ok… so the Cosworth is the one people still chunter on about so far as the epitome of fast retro Ford Sierra’s matter, but this is the one that started the Sierra argument way back in 1983. One body style and one engine option was offered on this cutie pie and it bursted onto our TV screens in a well remembered advert using the dulcet tones of Greek synth keyboard God Vangelis and his best known piece Chariots of Fire. A clever hook line on the tunes name and at the same time this multi Oscar winning British film was the talk of the world. The Ford marketing machine slipped into a higher gear with the XR’s strapline: “Man and Machine in Perfect Harmony” and young kids (me included) would almost faint at the sight of that Whale-bone double spoiler and those pepper pot alloy wheels. At your right foot command was the fuel injected 2.8 Cologne V6 rated at 150bhp nailed onto the slick shifting 5 speed gearbox. My own fond memories of the 4i was pestering a local Ford salesman for the showroom poster – albeit bleached white almost from the incoming sunlight, yet it still adorned my bedroom wall for a sizable chunk of my adolescent youth – Roger Chinnery, I salute you kind sir! With its sci Fi looks and a grumbling soundtrack, the XR now has used values heading into five figures, not helped by the fact they were not the most robust of cars when it came to avoiding the dreaded Sheffield steel worm. Its a car I still admire today despite the fact you seldom see one. The blacked-out canopy were also featured on two later products that Mr McGovern had a hand in – the Rover 200 coupe and the MGF. Same wheel style was used on the Rover CCV (Coupe Concept Vehicle) shortly afterwards. They also appeared in the Austin Rover brochures for 800s fitted with the body kit with some small print saying something along the lines of “Not available as part of a kit or separately”. Basically “Not available” !